The pilots of the Ethiopian Airlines Boeing 737 Max 8 that crashed outside Addis Ababa on March 10 knew the procedures identified by the Federal Aviation Administration airworthiness directive issued after the accident involving a Lion Air Max 8 off the coast of Indonesia, Ethiopian Airlines asserted in a statement issued Thursday. The airline also stressed that the pilots completed the Boeing-recommended and FAA-approved differences training mandated for their transition from the Boeing 737-800NG to the Max 8. The statement comes hours after the publication of a report in the New York Times indicating that the pilots did not receive training in Ethiopian Airlines’ Max 8 simulator. The airline neither confirmed nor denied that the pilots did, in fact, receive additional simulator training on the Max 8, however. The Ethiopian Airlines captain, who joined the airline in 2010, had flown the 737 since 2017 and collected 8,231 flight hours, during which time he registered an “excellent safety record,” according to the airline’s CEO, Tewolde Gebremariam. The first officer had accumulated 200 flight hours. The airline added that all pilot training manuals, operational procedures, and working manuals “well incorporated” the content of the airworthiness directive. The AD, issued on November 7, gives pilots of Boeing 737 Max 8s and Max 9s procedures to follow in the event of runaway horizontal trim caused by faulty angle-of-attack inputs to the airplane’s flight control system. The AD came a day after Boeing issued an operations manual bulletin in response to investigators’ findings that the Lion Air 737 Max 8 that crashed into the Java Sea on October 29 experienced erroneous input from one of the sensors, causing the MCAS to send the airplane into a dive. The directive required a revision to the chapters in the airplane flight manual dedicated to certificate limitations and operating procedures for addressing runaway stabilizer. 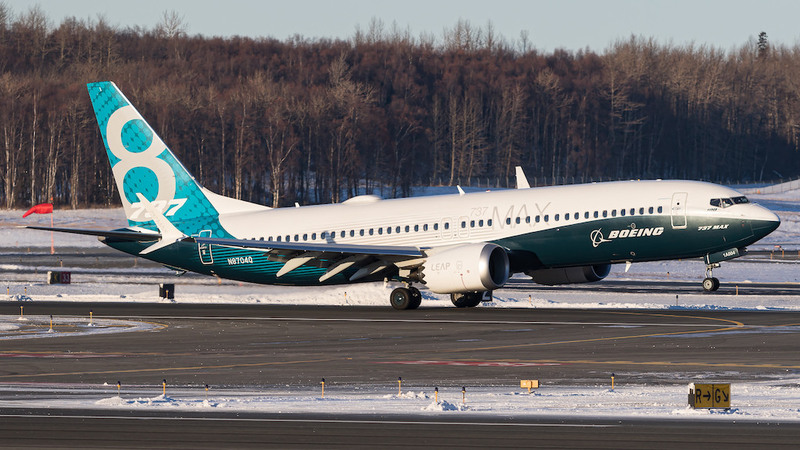 Nevertheless, Boeing stresses that the 737 Max Flight Crew Operations Manual (FCOM) already outlined an existing procedure to safely handle the event of erroneous data coming from an angle-of-attack (AOA) sensor. The pilot can override the flight control law using electric trim or manual trim, which he or she can control through the use of the runaway stabilizer procedure “reinforced” in an Operations Manual Bulletin (OMB) issued on November 6, the company added. Questions about whether training procedures adequately addressed such procedures persist, however. Since the FAA issued the AD, Boeing has worked on updates to the MCAS flight control law, pilot displays, operation manuals, and crew training. The enhanced flight control law incorporates AOA inputs, limits stabilizer trim commands in response to an erroneous angle of attack reading, and provides a limit to the stabilizer command in order to retain elevator authority. The company said it expects to complete the software update no later than April.